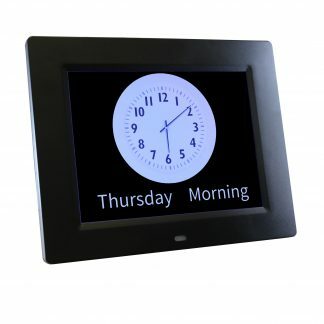 Here at Ravencourt we are the experts in products suitable for the elderly and dementia in the UK. 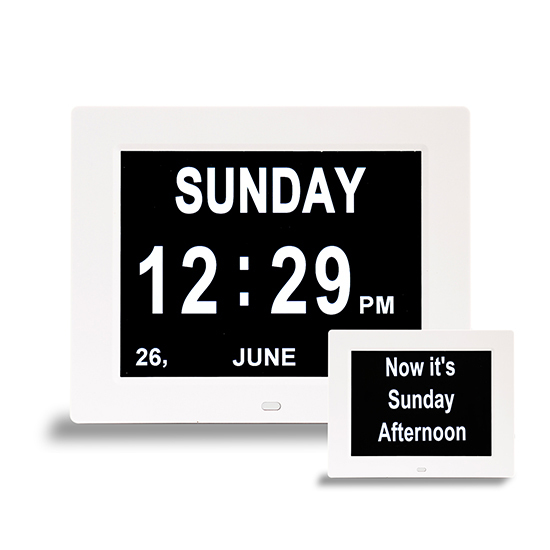 Working with sight loss organisations, all of our wall clocks are highly visible from a distance and our day clocks are no different! 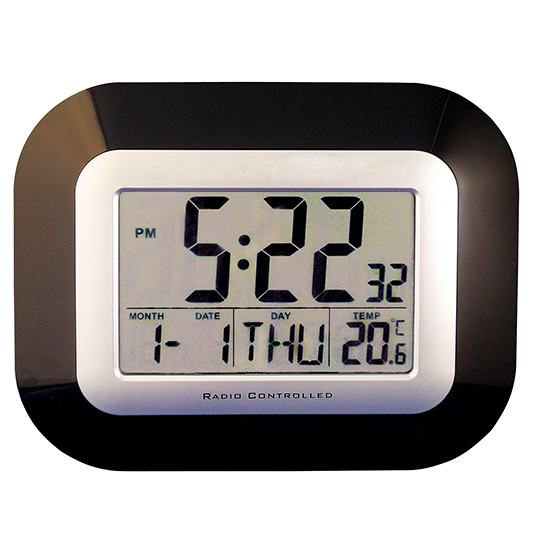 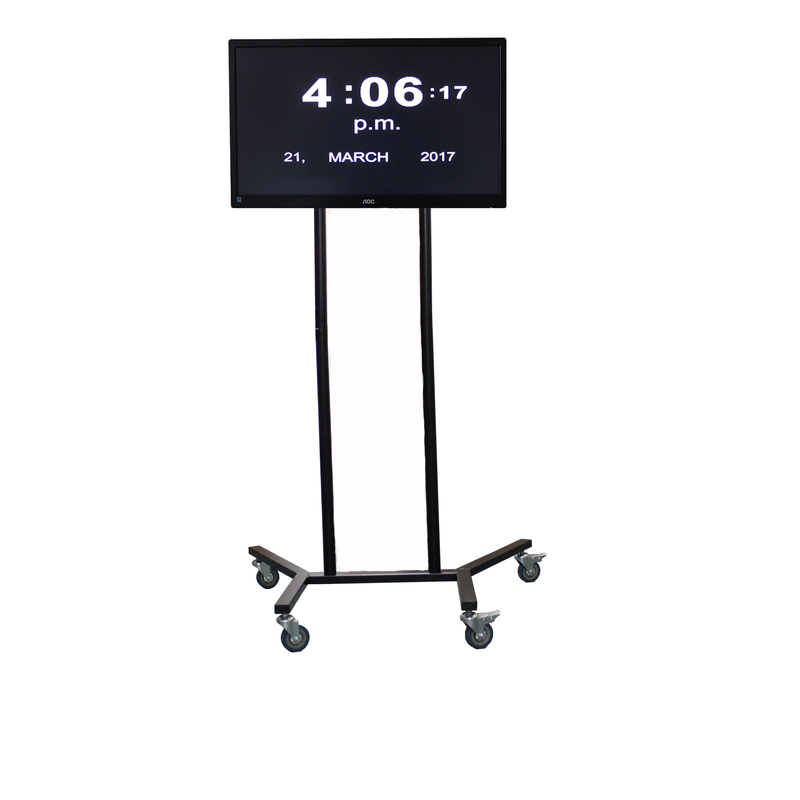 From digital day clocks with orientation reminders to simple quartz clocks displaying the days of the week, all of our day clocks will be able to help you, your elderly person, your loved one living with dementia/Alzheimer’s remember the day, date and time. 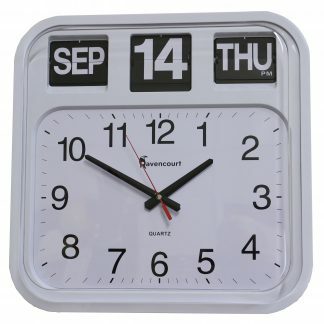 Click through our day clocks to see which best suits you or the person you are buying for.